Admit what you did was wrong in a fight and avoid saying "It's not a big deal"
Editor's note: Laurie Puhn is a Harvard-educated lawyer, couples mediator and relationship expert. She is the author of the new book ""Fight Less, Love More: 5-Minute Conversations to Change Your Relationship Without Blowing Up or Giving In." (CNN) -- Have you ever heard the words, "I'm sorry," and instantly thought, "Oh no you're not." You knew the sound of an insincere apology from the moment your spouse or friend opened his or her mouth. Or maybe you were the one who put your foot in your mouth when you said your husband's friend was stupid or a last-minute glitch at the office made you 20 minutes late to the restaurant where you and your honey were celebrating your anniversary. Whatever your error, don't allow it to ruin a nice evening or a good relationship. When a simple "I'm sorry" isn't enough, it's time for a perfect five-minute apology to kick in. It offers you the forgiveness you want in five minutes or less. 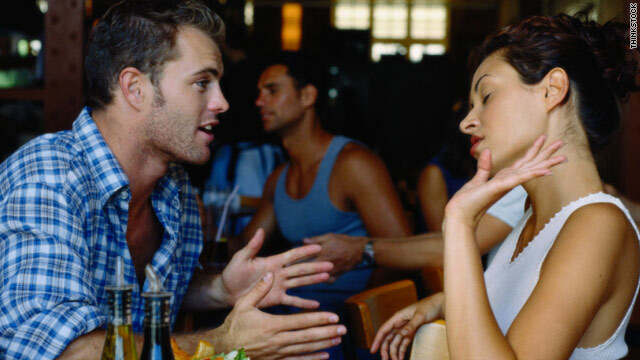 While it's our natural instinct to minimize our mistakes by saying "I didn't really mean it," or "It's not such a big deal," doing so will only aggravate your partner. Instead, if you go big and maximize your error with a comment like, "I made a huge error," or "It was really awful of me to do that," then your mate would be relieved knowing that you get how wrong you were, and that will go a long way toward reducing the anger. When someone is mad at you for your wrongdoing, it's because they feel disrespected, insulted, offended or ignored. What seems like a small thing, such as being 20 minutes late, is more than that to the person waiting for you. It's disrespectful of their time, rude to leave them standing there, and it sends the message that you have other priorities. So dig deep and say you're sorry for the whole enchilada. Use the word "because," to share exactly how you hurt your mate, as in "I'm sorry I was 20 minutes late because I was rude and disrespectful to keep you waiting." This is the crucial part of a perfect apology. Without this step, you won't win forgiveness. Complete your five-minute apology conversation by explaining to your mate how you will fix the damage done or offer a plan of action to prevent the mistake from recurring. For instance, if you were late to the restaurant, you can't fix the damage. But you can assure your mate that in the future you will allow some wiggle room between leaving the office and meeting up, and you will call your mate earlier in the day to confirm everything. But what if you're not the guilty party and instead, your mate is? Since your mate doesn't know the three steps in a perfect apology, you can coach him or her into telling you what you need to hear. Tell your mate that a two-word "I'm sorry" doesn't work for you and that you need to know exactly what he or she is sorry for. After your mate lists some reasons, ask how he or she can prevent the mistake from happening again. You will probably need to offer some suggestions here. Once your mate agrees to a practical prevention plan, you can let go of the mistake and move on to enjoy your time together.